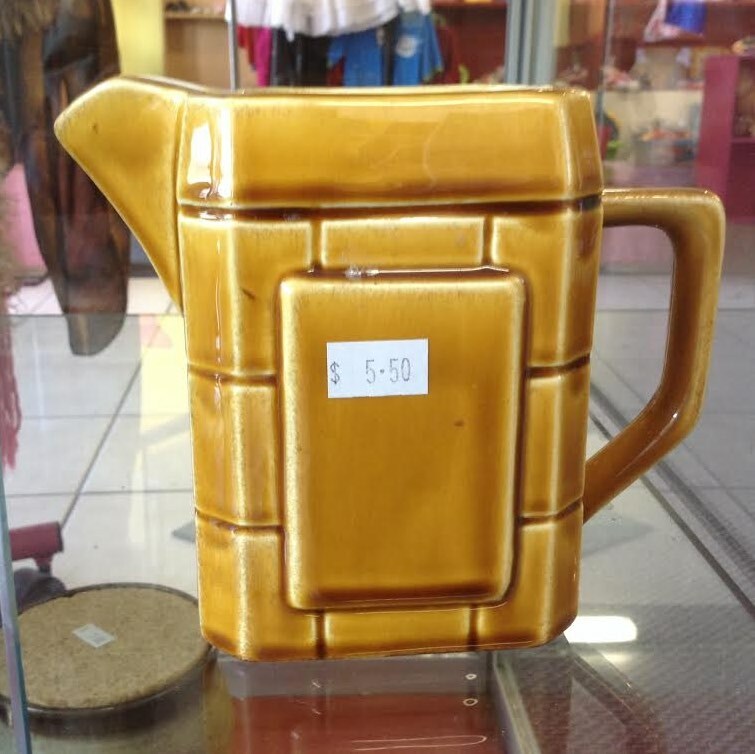 This jug is so like the 1351. Maybe it is one of the missing numbers. A jug yes, but very different to the 1351. It would be great to find a number for it though!! Size and silhouette. Apart from that everything is different. The honey glaze looks like CL, so too does the foot ring, but no numbers, no marks. I'd have bought, maybe, but there was a significant scratch on the other side.